The LEGOLAND theme park is an attraction that appeals to kids and adults alike. Adults can relive the excitement of youth through the very toys that inspired years of creativity and exploration. The park is expansive, boasting more than 60 rides for kids of all ages. The very building blocks that are a household name are used to showcase miniature versions of some of the worlds finest cities. From New York and Las Vegas to Washington DC and San Francisco, LEGOLAND encourages guests to imagine how even the smallest building blocks can be used to create worlds of fantasy and intrigue. 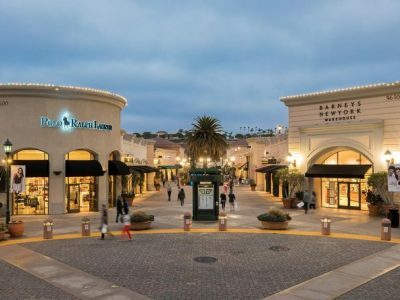 While many are familiar with the park’s footprint in Carlsbad, many are not aware that in addition to main park, LEGOLAND resort also includes an aquarium and a waterpark. The SEA LIFE® Aquarium is right next door to the park and is an impressive and fascinating place to engage with the Carlsbad coast’s wildlife first hand. 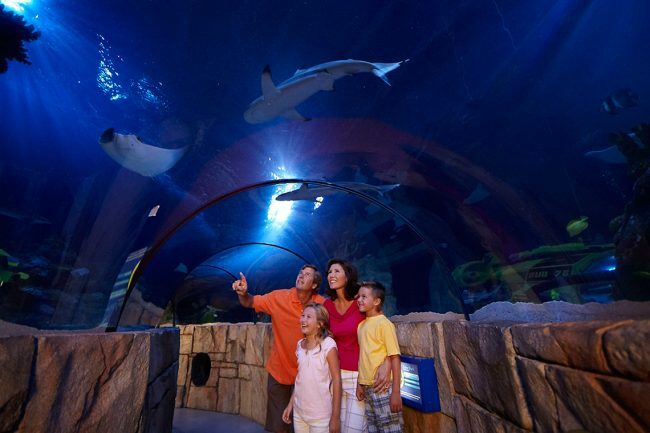 The SEA LIFE® aquarium boasts over 350 different species and more than 6,000 creatures*. 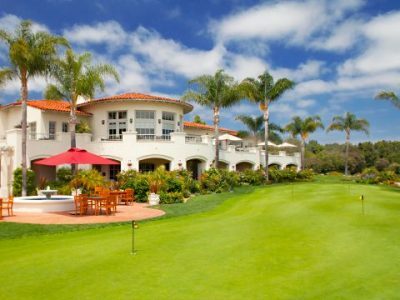 By bringing the underwater ecosystem alive for all to see, the aquarium allows guests to peak into the pulse of the coastline that surrounds the city of Carlsbad. 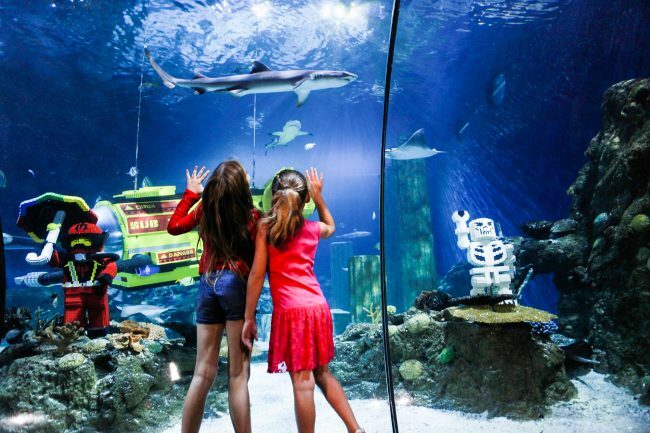 From sharks and clownfish to jellyfish and octopus, the SEA LIFE® aquarium lets visitors get closer than ever to some of the ocean’s most impressive animals. There are 16 separate interactive zones for children and parents to explore. Real life opportunities to touch the animals are paired with digital experiences to let guests dive deeper into learning about what lives beneath the surface of our oceans. Giant touchscreens get up close and personal with sharks and turn learning into a game that is both educational and entertaining. The freshwater exhibit lets children explore the wildlife outside of the Pacific ocean. Each attraction is formatted to surround guests with the creatures that they feature. The shoaling exhibit puts visitors right in the center of hundreds of fish. Learning takes place first hand as the aquarium’s sea creatures live, sleep, and eat naturally for guests to observe. From seahorses to jellyfish to stingrays, the aquarium is careful to show visitors creatures from a variety of different underwater ecosystems. The interactive touchpool exhibit encourages guests to lean in and touch one of the many rockpool creatures within. In addition to discovery and education, the SEA LIFE® aquarium is committed to the conservation and protection of the creatures they house. Using the collective experience of marine biologists, the aquarium has a mission to breed, rescue, and protect. This system of care and animal husbandry ensures that the ocean’s hidden marvels are respected. The aquarium has created a registered charity, The SEAL LIFE® Trust, that supports projects that provide the protection and conservation of marine wildlife and habitats. Since establishing their home in Carlsbad, the aquarium has taken local conservation to heart and has paired up with the Monterey Bay Aquarium Seafood Watch program. The LEGOLAND resort is a prime attraction for families who have grown up embracing the creativity and opportunities that Legos inspire. However, the SEA LIFE® Aquarium is a fascinating educational experience that should not be not be missed when planning a visit.